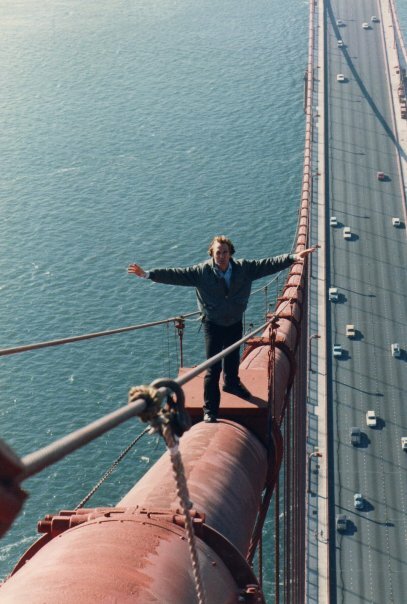 This is quite an impressive image I found, and decided to share, of stuntman Martin Grace on the Golden Gate Bridge for “A View to a Kill”. Obviously, he was very dedicated to his job. 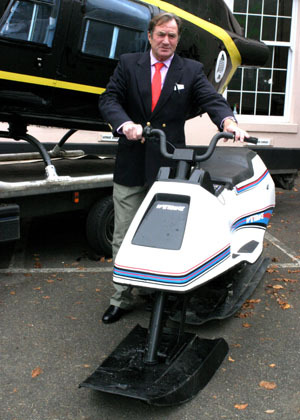 Bond stuntman and stunt double Martin Grace has passed away at the age of 67. Grace was an accomplished stunt performer and coordinator, and was Roger Moore’s stunt double through most of his Bond films. Grace’s first 007 credit was in Sean Connery’s “You Only Live Twice” in 1967, before becoming Moore’s regular stunt double from “The Spy Who Loved Me” (1977) up until his departure from the series in “A View To A Kill” (1985). Grace’s other major film credits as a stunt performer/coordinator include: “Superman” (1978), “Raiders of the Lost Ark” (1981), “Robin Hood” (1991) and “The Truman Show” (1998). Grace also appeared on screen as an actor, which included working with former James Bond actor Pierce Brosnan in “Robinson Crusoe”. Over his career, Grace worked on 73 motion pictures as well as many popular television programs including “Monk” and “Heroes”. His last big-screen stunt work was on the 2007 Jim Carrey film “The Number 23”. After suffering a cycling accident in late November 2009, Martin fractured his pelvis and was hospitalized for some weeks. In late January he was taken from his home in Spain to hospital again after developing breathing problems. He died aged 67 on 27th January 2010 after suffering an aneurysm.